Home » Blog » gears » Gear Reviews » Black Diamond Belay Device – Reviews of Which One Works Best for You? There are different belay devices in the rock climbing world and if you are a beginner you may wonder where to start? 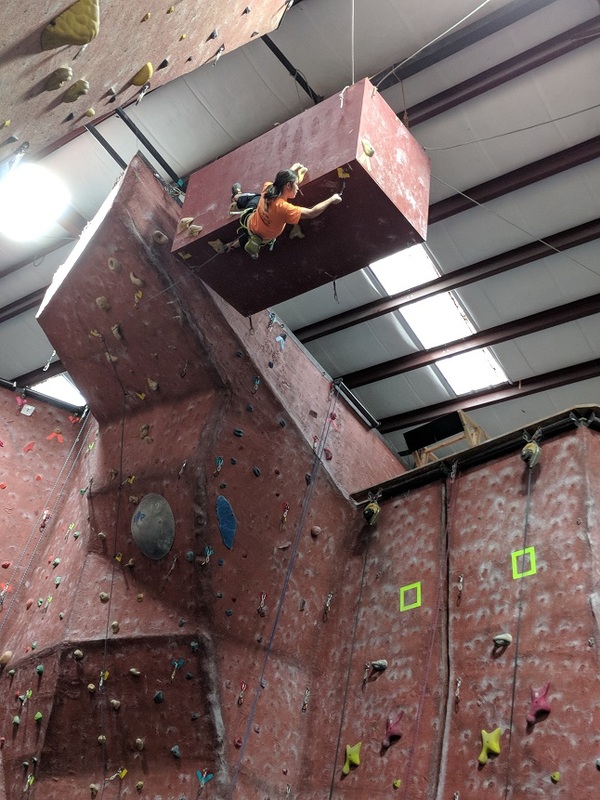 Even as an intermediate climber, I am still learning the different belay devices available and how to use them effectively. In this article, we will focus on Black Diamond Belay Device especially the tubular. They are well-known for the popular name ATC which stands for Air Traffic Control. You can read my article on “What is A Belay Device” for more information. There are four common tubular devices created by Black Diamond. With a one-year manufacture warranty, these devices are all compatible with rope in diameter of 7.7 – 11mm. Most tubular belay devices can be used indoor and outdoor climbing and they come in only one size. The primarily differences from one device to another are the additional features added to make belaying simpler and easier for climbers. This device is the most common classic belay device available and use by most climbing gym as rental gear. It is long-lasting and very durable which is fantastic for beginners. You can use indoor as well as outdoor. The double holes are primarily for two ropes to rappel. For indoor gym, you need only one hole. You can choose the left hole for left hand belay or right hole for right hand belay. It works great for outdoor multi pitch trad and sport climbing. Skinny ropes below a diameter of 9.2mm will not work as well with this ATC because of less friction. I find it works well with 10mm diameter rope. The rope often swell up when the humidity factor is high like in Florida (imagine that…). I can lower the climber down smoothly instead of a jerky motion created by the friction of the belay. This belay device is an ATC with XP which stands for extra power. It provides the same function as the ATC above with additional features. There are grooves on one side. These grooves add more friction to the rope to slow down and stop the rope easier. The ATC Guide is the ATC Extra Power (XP) and more. It has an additional function which is the guide. There is a large loop on the opposite end of the ridges. 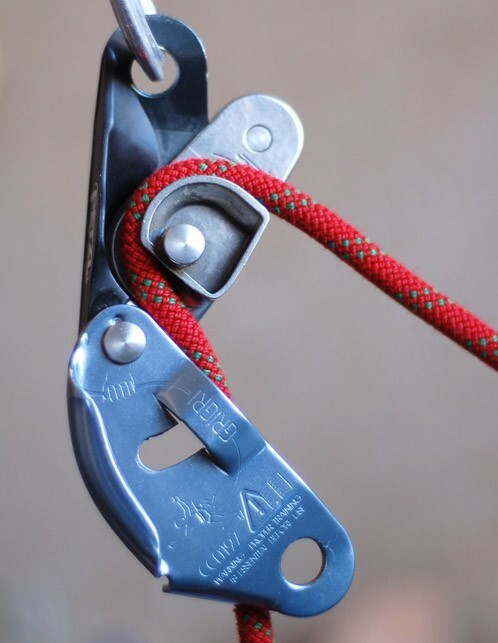 This loop serves as the device guide to allow you to belay one or two seconding climbers off an anchor for multi-pitch climb or belaying from the top. It is excellent for rappelling as well. The ATC Guide is popular among the outdoor and advance climbers because of the guide mode or an auto-block mode for multi-pitch climbs. Climbing magazine published a great article called “Essential Skills: Auto-Blocking Belay Devices“. To learn more about the essential skills to take advantage of the auto-block feature, click HERE. This belay device is versatile with many functions. It is a great addition to your climbing gear once you experienced the outdoor climbing. The ATC Sport is a simple, compact, and lightweight XP belay device designed for single rope use. 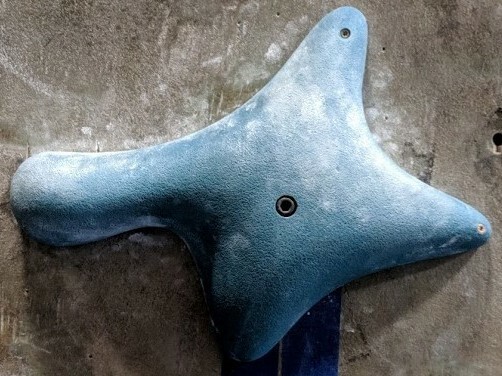 It is great for sport climbing and indoor gym. If you are used to the two hole device such as the regular ATC, it may take a little of getting used for the ATC sport. This is a small packagecomboof the ATC XP and a mini pearabiner screw gate carabiner. The locking carabiner is a device that you will use to hook the ATC to your harness. This is a great combo for beginners as well as intermediate climbers. My favorite of all the tubular devices in this article so far is the ATC XP. I have not used the ATC Guide yet. My outdoor climbing skills is still limited. I have not learned how to rappel yet. However, I look forward to learning it soon. I have also experienced the GriGri which is an assisted braking device. I still am most comfortable with my ATC XP. I hope this review was helpful for your search on belay device. If there are any questions or comments, please feel free to send them my way. 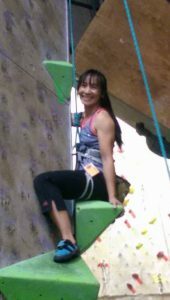 I am happy to share my rock climbing experiences. What is Speed Climbing – How does it fit in with rock climbing?